Tags Posts tagged with "oakley"
18|8 Fine Men’s Salon in Oakley is owned by Chris Brown and is the highest-rated men’s salon in Cincinnati. It’s been 19 months since 18|8 Fine Men’s Salon opened its doors in Oakley. The salon’s owner, Chris Brown, wanted to give Cincinnati’s men a place where they could go to get high-quality, premium, and on-trend grooming and salon services when he brought the national franchise to the Queen City. Today, 18|8 Fine Men’s Salon is the highest-rated men’s salon in the city based on reviews from Yelp and Facebook, and with 90 franchise locations throughout the country, the Cincinnati location is No. 2 in the nation. According to Brown, in about a year and a half, 18|8 has seen more than 5,000 guests and completed more than 18,000 haircuts, 1,000 waxing services, 2,000 straight razor shaves or beard trims, 750 coloring services, 220 facials, 250 man-icures or pedicures, and 100 scalp treatments with its four barbers and eight stylists in-shop. Although the salon continues to grow in popularity in the Queen City, 18|8’s core services will continue to be customized, handcrafted haircuts complete with a scalp and shoulder massage and hot towel facial in addition to a plethora of other men’s grooming services like straight razor shaves, scalp treatments, facials, waxing, and nail treatments. A new service just launched at 18|8 as well, True Solutions for Thinning Hair. “It’s a portfolio of products and services such as low level light laser helmets to address the full spectrum of thinning hair concerns,” explains Brown. Guests interested in this treatment can call the salon for a free consultation. The numbers behind the services aren’t the only impressive thing happening at 18|8. The salon is also the official men’s grooming experts of FC Cincinnati Men’s Soccer Club. Brown will be helping even more men in the Greater Cincinnati area look, feel, and perform better as he continues to move forward with plans to open a second 18|8 Fine Men’s Salon location. 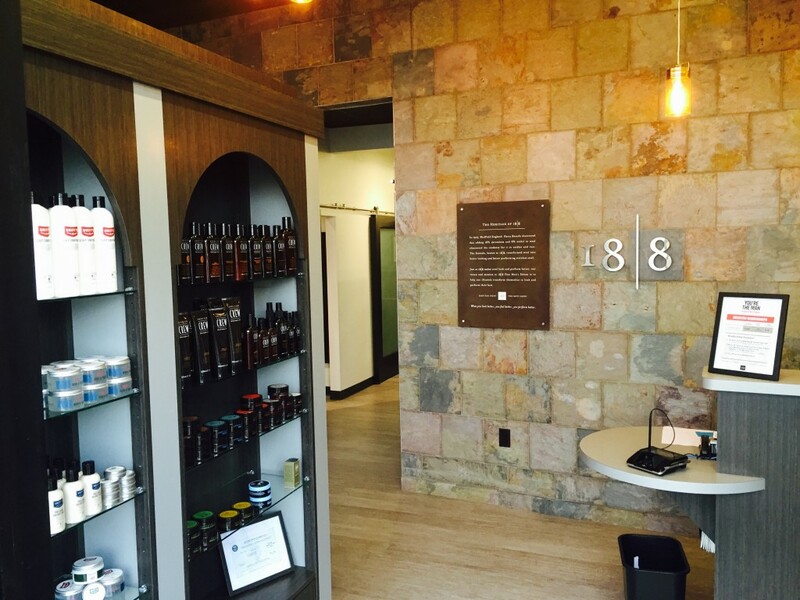 To learn more about 18|8 Fine Men’s Salon, click here. You can also follow along on Instagram and Facebook. Oakley is going all out for an upcoming event that features a fashion show, family fun, live music and more! Keep reading for all the details! 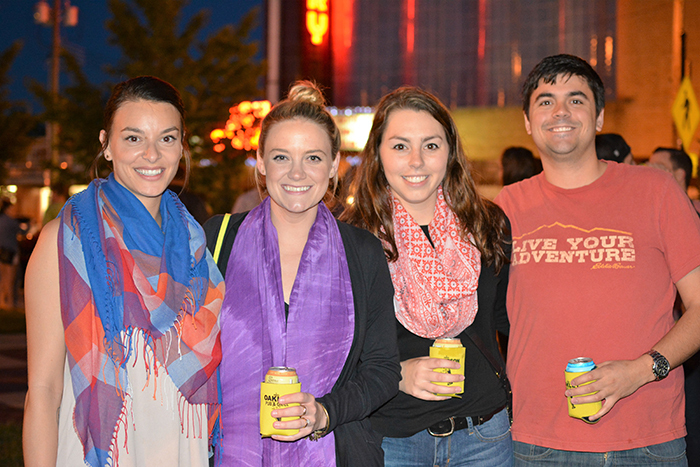 Oakley After Hours is a family-friendly event held on Oakley Square each month. Their final event for the year will feature a fashion show and late shopping hours. If you haven’t made a trip to Oakley lately, then you’ll be in for the quite the surprise. The neighborhood not only invested in physical and aesthetic improvements to the square, but it’s also making investments to bring the community together through the Oakley Community Council, a nonprofit entity that was created to preserve and improve Oakley for residents, businesses, and community organization. On those weekends when you decide to head to Oakley, Oakley After Hours is there to help you find a great place to relax and share a Madtree beer with your friends and neighbors. Oakley After Hours is a family-friendly community event that takes place on the second Friday of each month from April through September. You can find these events on the Geier Esplanade, a.k.a. Oakley Square, from 6-10 p.m. The events feature live music, entertainment, games, and treats for the whole family. “The beauty of this area is that it’s a great place for young professionals and families, and this event has been created with everyone in mind,” adds Schroeder. Established by the Oakley Community Council, Oakley After Hours is run by sponsors, volunteers, and members of the Council who spend hours planning to make sure that each event is better than the last. This year, Schroeder says, the Oakley After Hours two Rock STar level sponsors include Oakley Station and the longtime sponsor Oakley Pub & Grill. “Oakley Station and the Oakley Pub & Grill have gone above and beyond to make sure that Oakley After Hours puts on a first-class event every time,” she says. Many business on Oakley Square also stay open for extended hours during Oakley After Hours events to give attendees a chance to shop, enjoy activities, and get special deals. The last Oakley After Hours event of the year will be held September 9. It will feature a fashion theme, including a fashion show with local boutiques. “The Oakley Community Council puts on other events throughout the year, such as the Oakley Fancy Flea and the New Year’s Eve party on Oakley Square,” says Schroeder. More information on other events offered in Oakley can be found at oakleynow.com. You can learn more about Oakley After Hours by clicking here. To learn more about becoming involved with the Oakley Community Council and other events it presents, visit www.oakleynow.com. Get your engine revved for a red hot summer event featuring 18|8 Fine Men’s Salon, exotic cars and the FC Cincinnati Men's Professional Soccer Team. 18|8 Fine Men’s Salon in Oakley will host the High Performance at 18|8 event with FC Cincinnati players on June 16. Chris Brown, owner of 18|8 Fine Men’s Salon in Oakley, believes that when you look better, you feel better, you perform better. This principal is the promise 18|8 strives to deliver on with every guest. It’s also the inspiration for their upcoming event, High Performance at 18|8. High Performance at 18|8 is about providing guests with a high-end experience by top performing brands. Attendees at the event will receive services from 18|8 and the chance to rub elbows with the FC Cincinnati Men’s Professional Soccer Team. This is all taking place against a backdrop of exotic cars with craft beer and bourbon being served. Complimentary chair massages from Elements Massage will be available as well as unique shopping experiences with local high-end retailers such as Ziv Trading Company. 18|8 Fine Men’s Salon celebrates modern masculine style and will have special pricing on gift baskets and certificates that were put together to indulge dads and grads! Brown explained that the 18|8 Fine Men’s Salon Executive Haircut comes with a consultation, shampoo and conditioning, scalp cleanse, hot towel facial, five-minute neck, and shoulder massage, plus styling. Top-notch grooming and styling services are just a few of the reasons the FC Cincinnati Men’s Professional Soccer Team chose 18|8 Fine Men’s Salon as their official men’s grooming expert. For Brown, this relationship is “another opportunity to deliver our promise with a group of guys that are at the top of their profession and it’s important that they look good and have confidence when they take the field,” he says. Brown has certainly seen how everything from a straight razor shave to a style overhaul inspires confidence. “You can tell just by the way they [clients] are walking and carrying themselves, they are feeling better and ready to take on the world. We often will get a positive online review or even just an in-person, on-the-spot compliment back to us that this was the best grooming experience they have ever had,” he says. The best part about the upcoming event? It’s for a good cause! Proceeds from VIP ticket sales will go to the Dragonfly Foundation, which benefits children with cancer. “My son experienced some major medical issues when he was about 12 months old […] so helping a charity like Dragonfly that is so involved and important in helping the families and children impacted by something as serious as cancer touches my heart,” Brown says. The event is free to attend, however, $20 VIP tickets gives attendees the exclusive opportunity for autographs and professional photos with FC Cincinnati players, a swag bag of products and gift certificates valued at $200, and 20% off at 18|8 Fine Men’s Salon. Tickets can be purchased in advance. High Performance at 18|8 will be held June 16 from 4:00 p.m. to 8:00 p.m. at 18|8 Fine Men’s Salon, 3110 Vandercar Way. For more information about 18|8 Fine Men’s Salon services stop by their website. To be in then know about specials and events follow them on Facebook. A love for ice cream inspired a local lady to put a twist on the traditional ice cream truck and offer all-natural gourmet popsicles in entertaining flavors. Read on for all the delicious details! Streetpops put a twist on traditional ice cream with unique flavors and all-natural ingredients. Cincy Chic: Tell us about streetpops! Sara Bornick, Owner of streetpops: Streetpops are all-natural gourmet popsicles handmade right here in Cincinnati with fresh ingredients and unusual flavor combinations. Cincy Chic: What’s the inspiration behind the business? Bornick: The inspiration behind streetpops was a love for food, drinks, and different/unusual things. I wanted to initially open an ice cream shop, but Cincinnati already has so many amazing ice cream options and is oversaturated. I wanted to bring something new and different to the Cincinnati scene while also updating a nostalgic childhood favorite. Cincy Chic: When did you launch streetpops? Bornick: We opened in May 2011! Cincy Chic: Where can readers find streetpops? Bornick: We have 3 storefront locations: 1437 Main Street in OTR, 3096 Madison Road in Oakley and our headquarters at 4720 Vine Street in St. Bernard, which opens May 7. We also have an ice cream truck and multiple pushcarts that we take to different events and also use for catering. Cincy Chic: What can we find on the menu? Bornick: Anything from our most popular flavors like chocolate sea salt and raspberry lemonade to our unusual flavors like pineapple habanero and avocado. With our flavors rotating every couple weeks there’s something for everyone to enjoy. Cincy Chic: What makes streetpops unique? Bornick: Our flavors are unique, as is the way we deliver them. Our brand is fresh, modern and fun. Cincy Chic: Is there anything new on the horizon for your popsicle business? Bornick: We have a new offering in our shops this year: you can dip your pop in an all-natural Dark Belgian Chocolate Shell and also indulge in sprinkles, peanuts or coconuts as an extra topping. Our production kitchen is also new this year in St. Bernard. Our new 2,500 square foot space has allowed us to expand our production capabilities. Cincy Chic: Where can readers go to learn more about streetpops? Bornick: Check out our website www.streetpops.com for all the new flavor offerings and fun! Learn about a local lady who’s thanking her high school bullies for inspiring her to build a beauty empire that boosts women’s confidence one lash at a time. 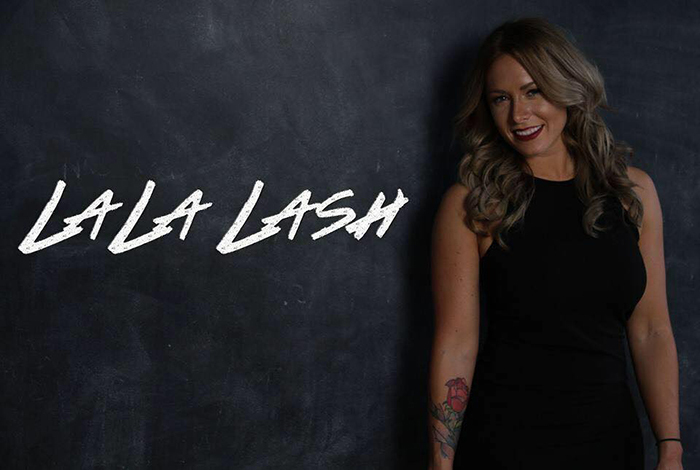 La La Lash offers eyelash extensions in Oakely. They say the eyes are the windows into the soul, and if that’s the case, LT Thompson specializes in window treatments. She opened her Oakley-based LaLa Lash studio in March 2015 after obtaining her certification. Currently, her service menu is focused solely on eyelash extensions, but she hopes to soon expand into custom eyebrow waxing, lash tinting and brow tinting. Thompson says she actually began wearing lashes about six years ago after kids in high school made fun of her small eyes. “You know, always caring what people think in high school,” Thompson jokes. She’s now thankful they did, though. It not only made her discover how lashes could enhance her eyes, frame her face and boost confidence, but it set her on an entrepreneurial path to help do the same for others. Thompson says most women want this natural look, but if you’re into a more dramatic look, she says they can achieve a look for that as well. Natural or dramatic, LaLa Lash has the service options to serve you. From Classic Extensions (one synthetic lash per natural lash) to Customized Volume Extensions (creating a fan out of two or more lashes by placing one fan per lash) to Kim K Extensions (a perfect blend of Classic and Customized Volume), there is an option for all looks. Thompson says Kim K is definitely the most popular services as it a very versatile look. She favors the Kim K or Customized Volume herself. “I really get to show my creative side with these two techniques,” Thompson says. A set of classic lashes runs $100 with a $55 refill. A full set of Kim K lashes runs $150 with a $65 refill. The dramatic C. Volume full set is $200 with an $85 refill. LaLa Lash is located at 4017 Allston St. Cincinnati, OH, 45209. To learn more, visit www.vagaro.com/lalalash or like them on Facebook. 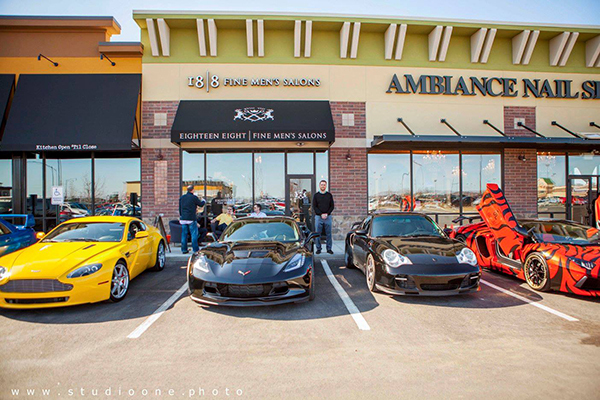 Learn about the grand opening event of a new salon in Oakley that's featuring exotic cars, a meet-and-greet with Marvin Lewis and all service proceeds benefitting charity. Cuts, Cars & Coach for a Cause will be held on Feb. 20 at 18|8 Fine Men’s Salon in Oakley. There’s a new men’s salon in town and it’s opening up in style. On Saturday, February 20, 18|8 Fine Men’s Salon in Oakley is teaming up with local men’s publication Cincinnati Profile to host “Cuts, Cars & Coach for a Cause” featuring Marvin Lewis and his charity, the Marvin Lewis Community Fund. Guests will experience an exotic car exhibit, shop with local menswear designer Jonathan Mezibov, enjoy complimentary craft beers and bourbon, and can also schedule a service with the salon, as all proceeds from services at the event will benefit the charity. Cincinnati Bengals Head Coach Marvin Lewis will also be in attendance for a meet-and-greet and to raise awareness for the Marvin Lewis Community Fund. The organization provides incentives to children to work hard to achieve their academic potential. Dundee continues, “The money raised from this event will help to fund an academic planner for each of the 30,000 students in Learning Is Cool. The planner contains a letter from Coach Lewis encouraging them to do their best so that they will get to meet him at the Cincinnati Zoo in June if they make the “A” Honor Roll (3.51+) twice during the school year.” To learn more about the Marvin Lewis Community Fund, visit www.marvinlewis.org. 18|8 Fine Men’s Salon was founded with the mission to help successful men transform themselves to look, feel, and perform their best. The name 18/8 comes from the chemical formula behind the strongest steel, and inspires the company to make every man who walks through their doors leave a new and improved version of themselves. 18/8 has salons in 18 states, and the Oakley location is the first in the region. Following the booming business in the surrounding area, 18/8 is the perfect addition to the neighborhood and caters to all walks of man. 18|8’s services repertoire was built around the modern man and anything he should need. Among their extensive resume of skills, they offer cut and color services, skin treatments, waxings, scalp treatments, and nail treatments. Unique about 18/8 is that not only is it a full-service salon, but they offer certified barber services as well; so men can treat themselves to an old-school straight razor shave while they’re at it. “Cuts, Cars & Coach for a Cause” is free and open to the public. Meet-and-greet tickets are $20 and must be purchased prior to the event at www.188CCCC.eventbrite.com. Guests who intend to purchase a salon service should reserve their spot by calling (513) 342-5188. 18/8 Fine Men’s Salon is located at 3110 Vandercar Way Cincinnati, OH 45209. Following a lifestyle change of her own, a local woman is bringing plant-based food and drink options to Cincinnati. Read on for all the juicy details. 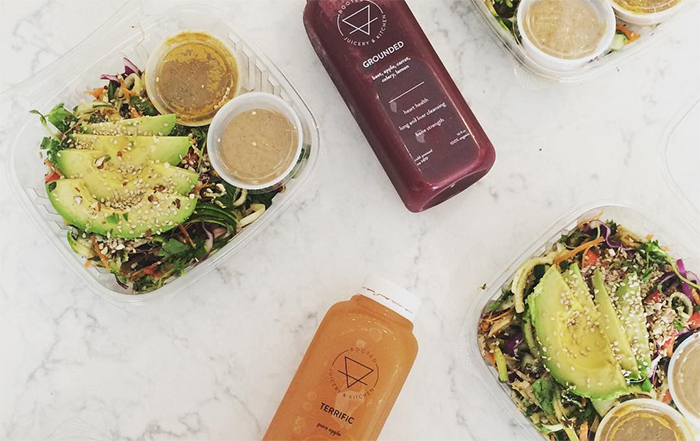 Rooted Juicery + Kitchen is an organic juice bar and plant-based quick-serve restaurant. Healthy juices aren’t just a tasty drink. For some people, like Megan Tysoe, it’s a lifestyle. Tysoe wanted to bring her hometown of Cincinnati a juice bar and restaurant concept that embodied her own beliefs on health, wellness and sustainability following her own health transformations and experiences with a plant-based diet. In dealing with minor health issues such as anxiety, Attention Deficit Disorder (ADD) and low energy, Tysoe decided to adopt a plant-based diet while incorporating detoxing and cleansing into her lifestyle. “I wanted to share with the community that plant-based food and beverages taste delicious, are good for our bodies and the planet and are easily accessible,” says Tysoe. So with that, Tysoe, alongside her mentor Chris Slawson, opened Rooted Juicery + Kitchen, an Oakley-based organic juice bar and plant-based quick-serve restaurant. Tysoe has years of experience studying plant-based nutrition and attended a plant-centric culinary school. She also worked for Slawson at his organic plant-based restaurant called Christopher’s Kitchen in Jupiter, Florida – so Tysoe knows about plant-based diets as well as the ins and outs of running a plant-based eatery. So with that, Tysoe opened Rooted Juicery in July 2015, though she adds it feels just like yesterday that the restaurant opened. Aside from mentor Slawson’s assistance, Tysoe says that opening Rooted Juicery also would not have been possible without her two partners Ron Tysoe and Annie Ilyinsky. When it comes to the menu at Rooted Juicery, Tysoe says that there’s a wide variety of plant-based foods and beverages. “We have cold-pressed juices, nut milks, vitality shots, raw desserts, salads, sandwiches, wraps, dips, spreads, smoothies, smoothie bowls and more,” she says. According to Tysoe, what makes Rooted Juicery unique is a number of things. She credits the team, the organic ingredients that are handpicked for nutrition content and are locally-sourced as much as possible and the focus on sustainability which includes composting all of the food waste, consciously recycling, filtering and alkalizing all of the water used in the kitchen. Another big thing for Rooted Juicery is their desire to constantly evolve, create and innovate in whatever way they can to make customers happy. “We try to offer products that taste great, make you feel great, are quick and easy to obtain and don’t contain any junk,” says Tysoe. You can learn more about Rooted Juicery by visiting their website, liking them on Facebook or following along on Instagram. Bye bye old fashioned barber. There’s a new men’s salon in town, providing top-of-the-line hair care, grooming services, and a membership program to make it easy to look good. 18|8 Fine Men’s Salon offers high-quality salon and grooming services just for men. Men don’t always have quite the same options as women when it comes to salons. In an effort to change that, Chris Brown opened 18|8 Fine Men’s Salon in Oakley. According to Brown, 18|8 looks and feels like a salon but in a masculine way. When clients walk into 18|8, they’re greeted by a receptionist who helps him to get comfortable with a refreshment, including lite snacks and drinks (even beer), and directs him to a waiting room where there are comfortable, plush chairs in front of a big screen television. Since 18|8 officially launched in 2002, it has established itself as the only men’s salon that caters to a discerning clientele with an upscale suite of hair care and salon services. Originally founded in Southern California by Scott Griffiths and Ron Love, 18|8 only recently began franchising. Brown says there are currently more than 50 18|8 Fine Men’s salons across the country with 90-plus franchise units under development in every major city in the U.S.
It’s Brown that has the rights to develop the Cincinnati market. He opened the first salon in mid-November at Oakley Station, and he’s got plans to open several more over the next few years around the Tri-State. Brown says the analogy they like to use at 18|8 is like comparing a suit off the rack to a tailored suit. “18|8 will be a tailored haircut, not an off-the-rack haircut,” he says. In addition to haircuts 18|8 offers razor shaves, hair loss prevention treatments, rejuvenation facials, manicures/pedicures for men, hair coloring/grey blendings and hair removal (eyebrows, nose, back, etc.). Memberships are also available at 18|8 that cover prepaid hair and grooming services and provide member perks including complimentary clean-ups, discounts and other benefits. The price of services at 18|8 are moderately priced from $35 to $55. Each haircut or grooming service is done in semi-private grooming areas. Despite only recently opening, Brown says that the main goal is, of course, to open several more salons in the Cincinnati area. They’re also coming out with a new hair loss consultation service that men and utilize to treat thinning and hair and to help stop the loss. You can learn more about 18|8 by clicking here or liking them on Facebook. Grab a cup of joe and keep reading as we brew up details about a local wholesale coffee roaster with products and events that are a dream come true for coffee lovers. Deeper Roots Coffee is a coffee roaster located in Cincinnati’s Oakley neighborhood that sources quality coffee. Cincy Chic: What is Deeper Roots Coffee? Courtney Robinson, Owner of Deeper Roots Coffee: Deeper Roots Coffee is a wholesale coffee roaster in Cincinnati. We focus on sourcing not only quality tasting coffee but also coffees that tell a story and allow us to form a relationship between everyone involved in the coffee lifecycle. Robinson: As a group, we all worked in the coffee industry in one way or another but we never quite found coffees that demonstrated the passion and quality we knew existed. Starting Deeper Roots allows our team to have a direct impact on every aspect of the coffee lifecycle introducing coffee drinkers to the wonderful tastes and stories we’ve always wanted to share! Cincy Chic: Who’s behind Deeper Roots Coffee? Robinson: Deeper Roots Coffee is definitely a collaborative effort! Started by Les Stoneham, Ryan Doan, Adam Shaw and myself, we truly work as a team to get our coffees and stories out there. We’re also fortunate to have a wonderful team of coffee lovers by our side at both our roasterie and retail locations. Cincy Chic: When did Deeper Roots Coffee open? Robinson: We began roasting in 2011 and opened our first retail location just this past April 2015. Cincy Chic: What makes Deeper Roots Coffee unique? Robinson: Deeper Roots is collaborative at every step of the way. Be it our sourcing practices, the way we work with our customers and the way we work with each other we focus on not only the coffee itself but everyone involved along the way. We’re passionate about education and helping every individual create their own coffee journey! Cincy Chic: What do you enjoy most about running the business? Robinson: Being a part of Deeper Roots Coffee has given me opportunities I didn’t think were possible. I love to do a million things at once, and being a part of Deeper Roots allows me to be involved in so many aspects and opportunities all at the same time. I get to constantly work with and meet amazing people as well, which makes every day unique and interesting. Cincy Chic: Is there anything new on the horizon for you guys? Robinson: We always have something new on the horizon, whether it’s a new coffee or a new experiment. Our next big release is a tasting series from Ethiopia that will allow coffee drinkers to taste three very different coffees all from Ethiopia allowing them to explore differences in region, varietal and processing. Cincy Chic: Where can readers go to learn more about Deeper Roots Coffee? Robinson: Readers can go to www.deeperrootscoffee.com or visit us in our Oakley retail shop to talk and taste coffee! Read about Spavia, a spa that promises to provide a high quality experience without the high prices, and its exciting new Tri-State location. Want to go to the spa and take care of that pain in your neck, but don’t want it to cost you an arm and a leg? That’s where Spavia, the brainchild of Allison and Marty Langenderfer, can help. Spavia Day Spa’s mantra is to high quality spa services without the steep bill. Gearing towards affordability, the Langenderfers created a spa that is relaxing and practical for the average consumer. They opened their first spa in the Denver-Boulder area in 2005 and have continued expanding in other areas ever since. Local franchise owners Julie and Tom Gady expect Spavia – Rookwood to open in late September. Elizabeth Schuler, who manages Spavia’s media relations through the Eisen Agency, highlights the fact that Spavia is unlike other spas. “Spavia provides a high luxury spa experience at an extremely affordable cost. They offer an assortment of services, like many other day spas, but focus on the long-term wellness of guests,” she says. Rather than aim for a quick turnaround in the spa, Spavia’s team focuses on aiding in overall wellness even when their clients leave the facility. Spavia also offers a membership program that further helps people save money as they indulge in a quality spa experience. Aside from massages at a reduced rate—which range from deep tissue, hot stone and couples (Just to name a few! )—the membership program includes discounts on retail products, service upgrades and extra visits for guests. “Spavia makes the spa experience an affordable luxury, especially through membership programs. It is a place for guests to come regularly to relax, escape and thrive. It is not just a service, but an experience. When you come into a Spavia location you will be pampered from the moment you walk in the door, with amenities such as spa robes and sandals, heated neck wraps, personalized services and more,” Schuler explains. Spavia contributes to various causes in the community. “Spavia strives to support local communities and plans to find nonprofit partners as soon as we are settled into this new location and open for business. We encourage all organizations to reach out to us regarding opportunities to give back. Spavia—Rookwood will be working with Sophie’s Angel Run in September to raise money for pediatric brain tumor research,” Schuler states. This location will be opening soon and the franchise owners plan to open two more locations in the region. As far as the products being used, Spavia takes pride in using all natural materials. “Spavia uses the most organic, cleanest materials and ingredients in product and service offerings. Our efforts include buying locally made products to support local businesses and reduce shipping waste, striving to use only natural ingredients in our skin and body care products and [using] makeup that is 100% pure mineral without fillers and synthetics,” she explains. Among those efforts is a multitude of efforts to reduce waste by recycling and doing laundry in a highly efficient way. 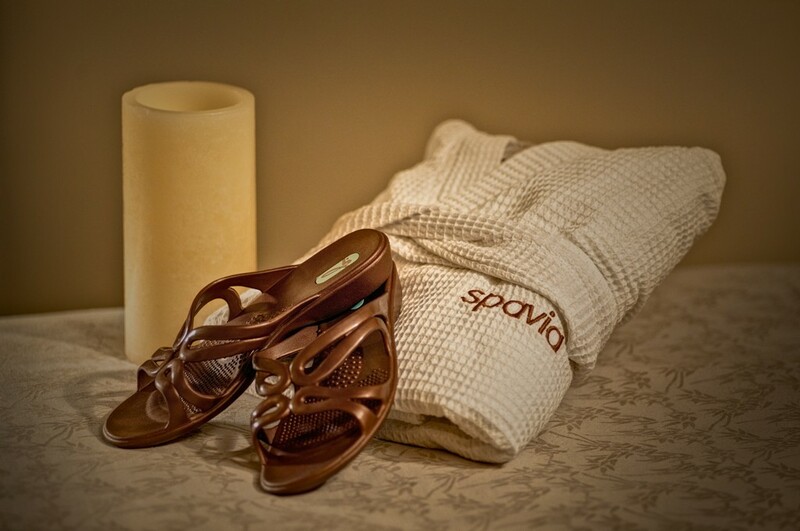 To learn more about Spavia and to start your own spa experience visit their website, www.spaviadayspa.com.